Infuse novelty into your daily dose of fashion by wearing this top from the house of Vero Moda. 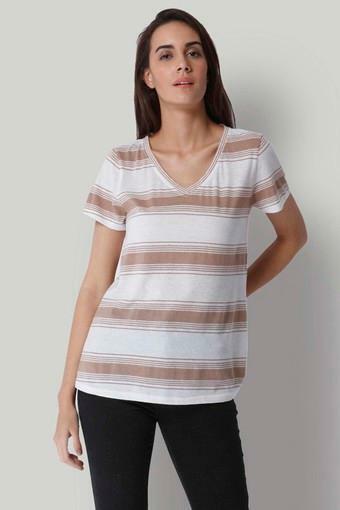 It comes in a slub pattern that lends it a trendy look, while the short sleeves and a V neck enhances its overall design. Tailored with care using a fine quality fabric, it will provide you with utmost comfort. Raise your style quotient by wearing this top with a pair of denim shorts and gladiator shoes for any casual occasion. It comes in a slub pattern, which elevates its design.